It was during the technical rehearsal for Quariat El Fingan at the Dance Ontario Weekend that I looked out from my place in the orchestra at the dancers on the stage and realised just how privileged I am to be able to experience two very different parts of the same world. 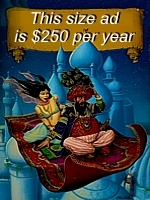 I came to Canada in September 2008 and after auditioning a few weeks later, was accepted into Arabesque Dance Company to my great excitement and anticipation. After several months of learning choreographies, getting to know the girls in the troupe and stressing about my un-cooperative elbows, I finally started to feel a little more settled into Arabesque life and rehearsals. 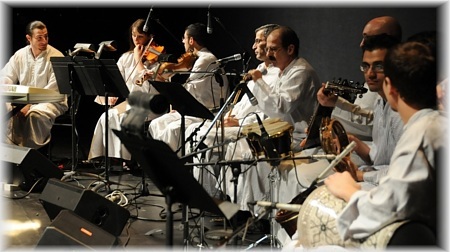 Then the day came when Professor Bassam Bishara requested that I join the orchestra with my violin for the upcoming Arabesque production of ‘Egypt’ in March 2009. Obviously I was excited and flattered that he would invite me as my background is not in Arabic music, but as a Classical Concert violinist. However, I reasoned that after having taken a lesson with Prof. Bishara during Pro-course in 2008, I would not find it too hard to cross over into a new style with enough time and practice. How wrong I was! Firstly, the tuning of the strings on an Arabic violin (‘kemanja’) is different and so I have had to re-learn how to use my fingers. Secondly, the scales are also different (‘maqams’) and each scale has a specific emotion attached to it, which influences the exact tuning of the ‘quarter-tones’ (which are the notes that to a Western ear can often sound ‘out of tune’, but are in fact very precise notes). Thirdly, I have to play as an accompaniment to Prof. Bishara’s breathtaking singing (an incredible tribute to Abdel Halim Hafez), which, although it follows a melody, is not always with a beat and requires me not only to listen intently, but to react very quickly to catch each syllable (and quarter-tone!). I was also faced with a more pressing dilemma – I had been forced to leave my instrument in the United Kingodom due to luggage weight issues when I came over here and nobody, that I knew, had a violin which I could borrow. So I finally managed to persuade Long and McQuade to rent me a cheap student model to practice with (but based purely on their acquaintance with Arabesque, since I have no credit or history in Canada of course) and after a couple of weeks with the sheet music, we finally managed to organise all of the musicians to meet in the same place at the same time for our first run-through. I also had to deal with the difficulties of being the only woman in a group of predominantly Arab men, most of whom have known each other for several years and in some cases, decades. On the surface, all of them were very welcoming, saying hello and being almost over-polite, but underneath I could sense a slight uneasiness that I was coming into their realm. Part of the difficulty, I believe, is that the orchestra members are used to me fitting into one particular role – that of Bellydancer. It is well known that the Arabesque men are attractive and talented (as are the dancers!) so there is no shortage of playful flirting when we all get together. Most of the contact we have with the musicians is at ‘Layali Arabesque’, the weekly nightclub show run by Arabesque, where the orchestra will play a show and one of the ADCO dancer artists will perform 2 sets before the audience gets up to dance to the live music. 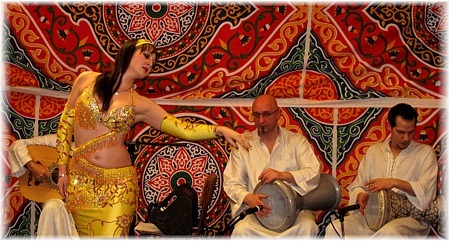 On these nights, we all relax and enjoy socialising with our fellow dancers, maybe dress up a little and make the most of being able to dance to the live Arabic music we love. The musicians are used to us being the pretty girls on the sidelines supporting their show- but what about when one of us then crosses over into their world? Our society as a whole has a tendency towards pigeon-holing people and we are often uncomfortable when individuals break out of that trend and display flexibility. But of course, that is what being an artist is all about- pushing boundaries and crossing over into unknown territories. Yet even within many artistic communities, there is an expectation that we should fit into certain roles. I was fortunate enough to be brought up by 2 very talented and open-minded artists, who encouraged me to explore my talents fully. 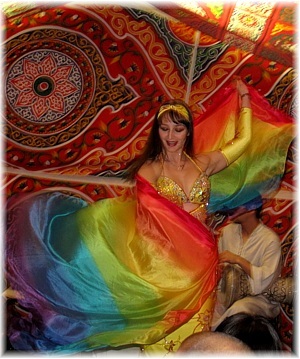 Consequently, although I was an accomplished violinist, I never felt the need to make it my career, choosing instead to study linguistics and finally an art degree, before settling into Bellydance as my main focus. But of course, all of these other arts and experiences have fed me as an individual and continue to expand my horizons even within the one art form. The chance to play with such an accomplished group is not to be taken lightly- I am well aware that it is because of my involvement with Arabesque as a dancer, that I was even considered as a member of the orchestra. As a classical violinist, the cross-over between tuning and styling is such a huge leap that only my knowledge of Arabic music from a dancer’s perspective has allowed me to even begin to understand how to approach playing with ADCO, but I am also aware that I have a long way to go before I will be fluent as a ‘Kemanja’ player. I am fortunate to have the complete support of Prof. Bishara and the other musicians who are constantly giving me helpful pieces of information and feedback to help me improve. I am also learning more about what it is like to work with a group of Arab men…which has certainly prompted me to learn Arabic so that I can understand what they are all talking about in rehearsals! The ladies in the dance company are also excited about the arrangement. Often, one of the drummers will accompany a dancer on the ‘Tabil’ during a Sa’aidi Assaya dance and the juxtaposition of the extremely masculine drum with the feminine ‘coquettishness’ of the dancer makes for a powerful and memorable show. Of course, there is also the traditional Drum Solo and many other moments where there is a match of female and male energies from the performers. However, many of the ladies I dance with love the idea of having a female musician creating the inspiration for their dancing as it would allow us to present a whole new side to the art which is not often seen. There are a very few female professional drummers for instance, but even fewer female professional melodic musicians and particularly ones who have an understanding of the dance from a dancer’s perspective. Once my fluency within Arabic music develops, I should be able to explore these fully. There has even been talk of me learning to dance and play at the same time (I’m not sure I have that sort of co-ordination, but it’s an interesting concept!). Overall, I am fascinated to see where this new development in my career will lead. I was so overcome by being on stage with ADCO this weekend and by the art that we were all combining to produce, that although I was sad not to be dancing, I realised that there will be times when my playing instead, will teach me more about myself as a dancer and performer and will give me the chance to learn about the culture and art as a whole. Have a comment? See our comment section below or send us a letter! The erk sous seller	spies a pretty young thing in a melaya (and pink bloomers). He coaxes her to have a cup; they flirt. He chases her, she runs away. My family members all the time say that I am killing my time here at net, but I know I am getting know-how daily by reading such nice posts.